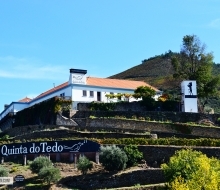 Fully restoring a 250 year old estate and producing a full portfolio of award-winning wine sounds like a dream, but for Quinta do Tedo owners Vincent and Kay Bouchard, this is their reality. 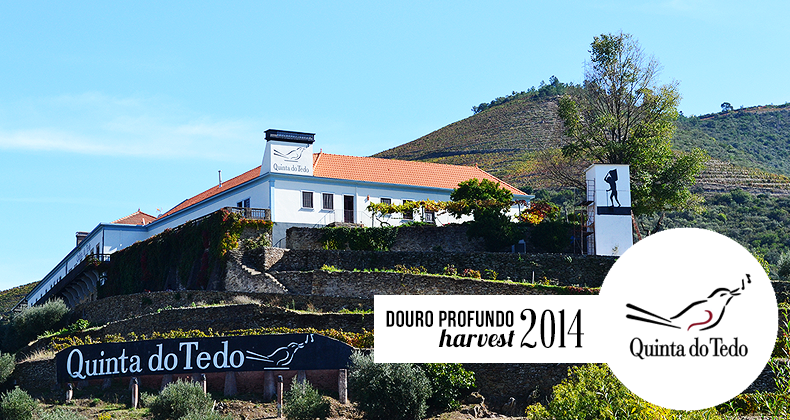 Quinta do Tedo is a small estate that packs quite a punch. 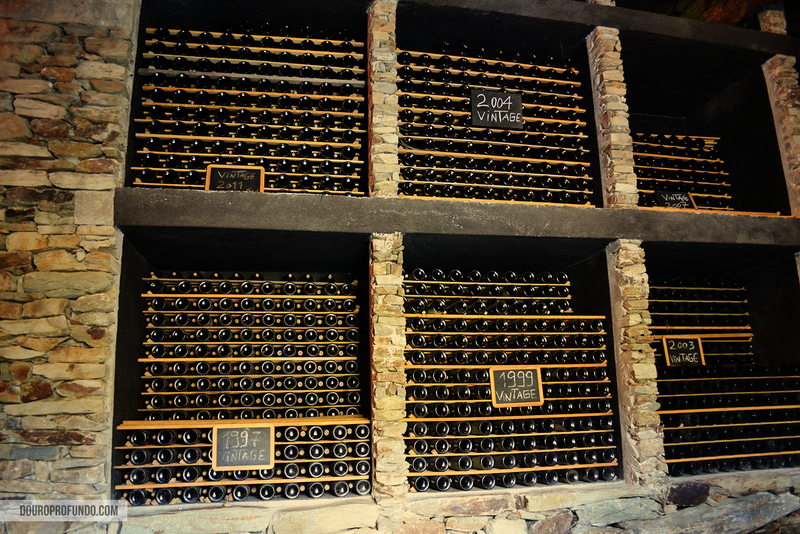 Being fully restored from near ruins just 20 years ago, and now boasting an incredible lineup of Port wines as well as a few still wines, this estate has been a labor of love for owners Vincent and Kay. 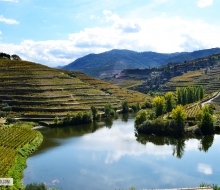 Partners in both business and in life, they bring traditions from France and California, while keeping true to the strong winemaking culture of the Douro to create something special in Quinta do Tedo. 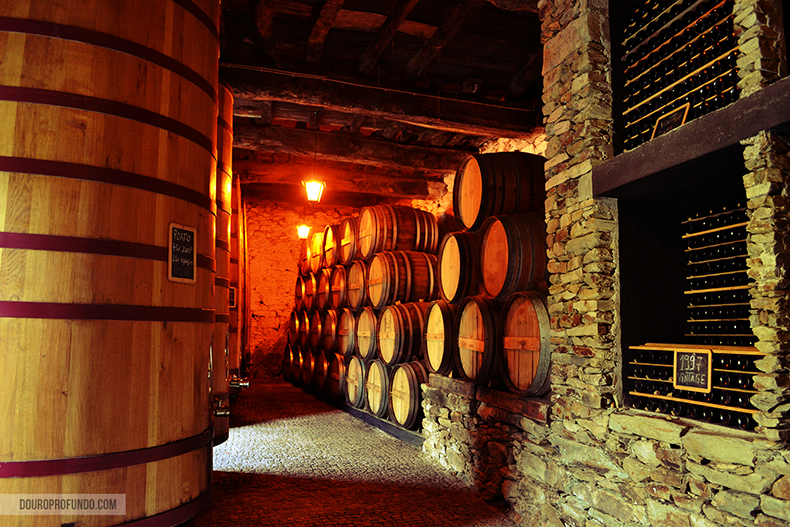 With their combined passion, professional knowledge and experience in the wine world, we expect only good things from this estate. 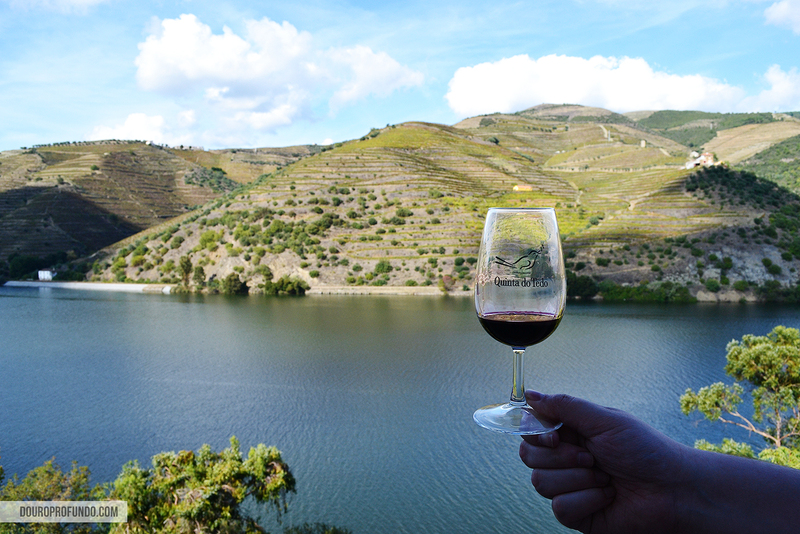 Located between the Douro river and the nearby tributary “Tedo” river, Quinta do Tedo is easy to spot when driving along the N22 highway. It’s position on a unique peninsula creates stunning 360 degree views of the surrounding tiered vineyards that are so characteristic for the region. 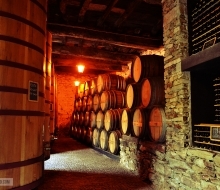 It is also relatively small, composed of just 35 acres (14 hectares) of vineyards, producing 3 red wines as well as a selection of Ruby, Tawny, LBV and Vintage Port wines and a Rosé Port. 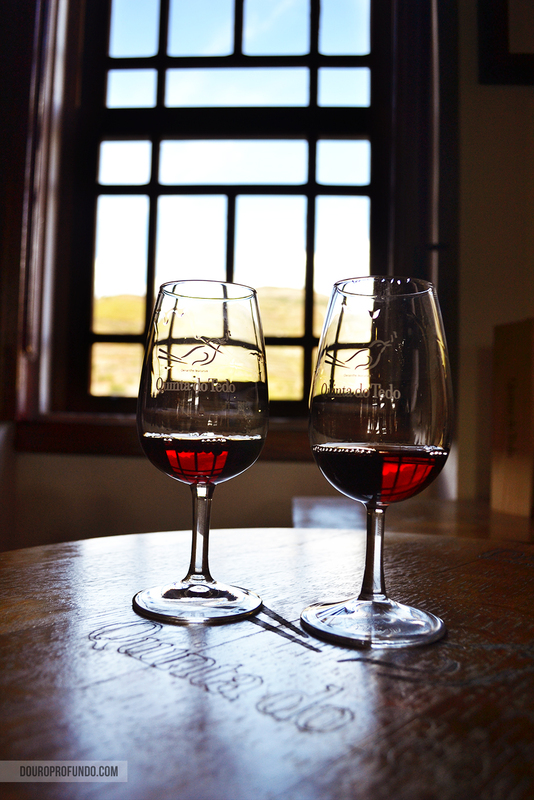 During our visit, we were very excited about trying the full range, and it did not disappoint. 10 year old Tawny: A quality Tawny and a great way to start the tasting on a high note, setting the standard for a great afternoon. A great taste of smokey toffee, beautifully balanced with fresh orange notes. A lingering taste of tobacco and leather. Very well structured and elegant, a perfect snapshot of what a Tawny should be, especially for anyone just starting out with Port wine. 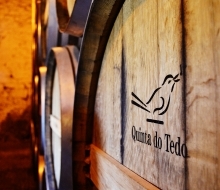 20 year old Tawny: A unique Tawny that could almost be considered a Colheita (a single harvest wine with prolonged aging in oak) while technically being a blend, it’s primarily made up of grapes picked 20 years ago (the oldest at the estate), this is a new addition in Tedo’s lineup. Comparing to the 10 year old we tasted before, it is more nutty (particularly hazelnut) and has more of an herbal undertone. It’s very fresh and surprisingly less smokey than the 10 year old. The fresh, herbal taste that lingers in your mouth we initially guessed as sage, but after a walk around the vineyard, it seemed to relate more to the wild rosemary growing nearby. 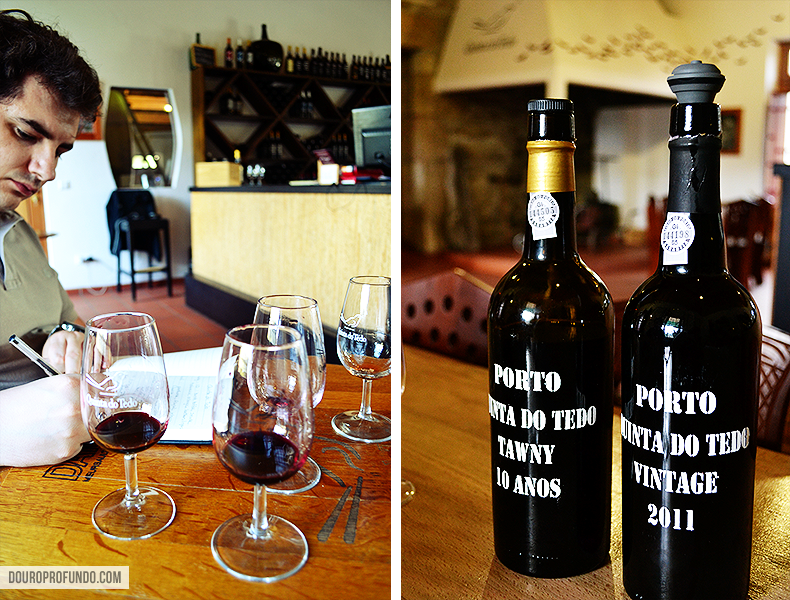 2007 Late Bottled Vintage Port: Although difficult to choose just one, this is the wine we chose to take home. 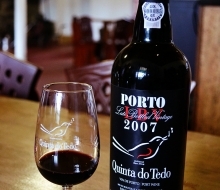 As a part of our annual tradition, during our harvest trip every year we choose a “Christmas Port”, and this year we chose Tedo’s LBV, which we’ll save to be enjoyed with our family over the holidays. 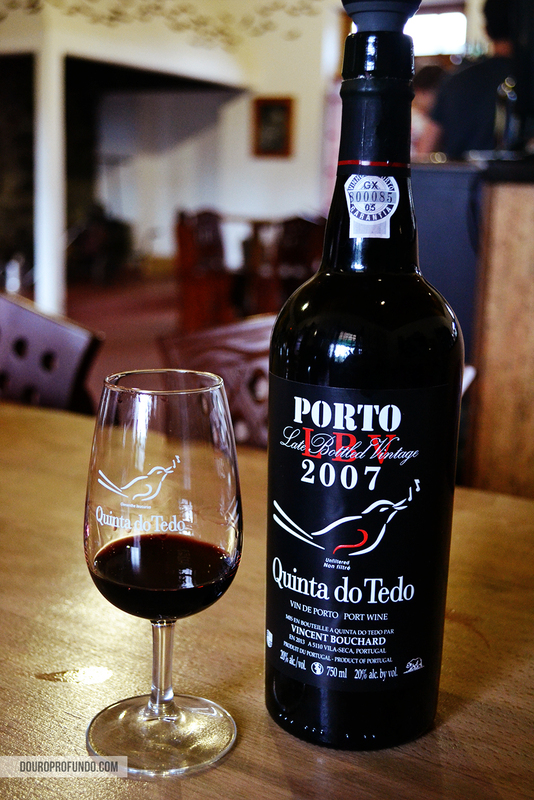 With the perfect flavor profile to be enjoyed with traditional Portuguese Christmas desserts (and some American additions) this LBV is a definite crowd pleaser. Lots of cherry and cocoa notes, smooth tannins despite still being fairly young, and some hints of fig. A great overall balance that makes for a beautiful LBV we can’t wait to have during the holidays. 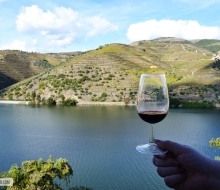 We Recommend: 2011 Vintage Port – Another star in an incredible year for the Douro, the Quinta do Tedo 2011 Vintage is bursting with flavor and potential. Very fruit forward, vibrant in both red and black fruits, pronounced but smooth tannins and slightly acidic with the long finish you’d expect from a Port, it is already a pleasure to drink, but will only get better as it develops. 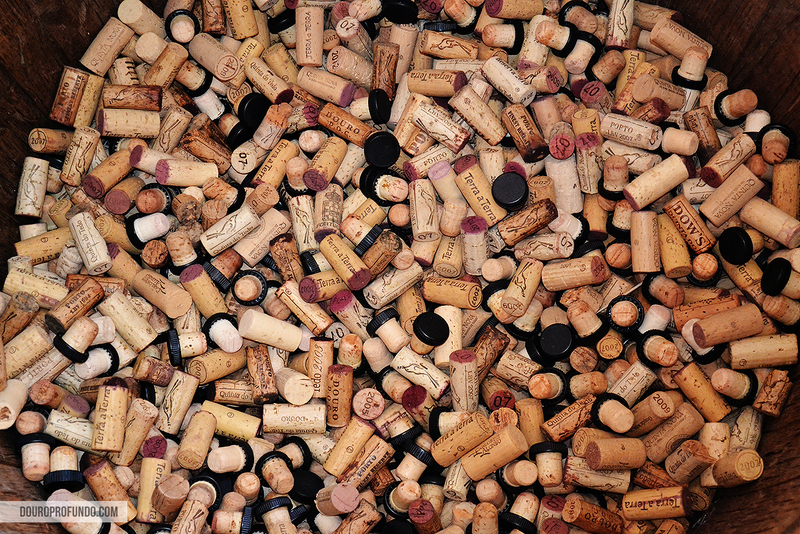 This wine really blew us away, and we highly recommend trying it. 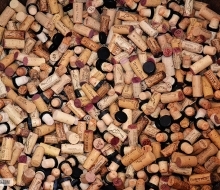 This is a wine we’d love to have in our cellar, knowing that it will only improve with time, but is also ready to drink, if we couldn’t bare to let it collect dust. 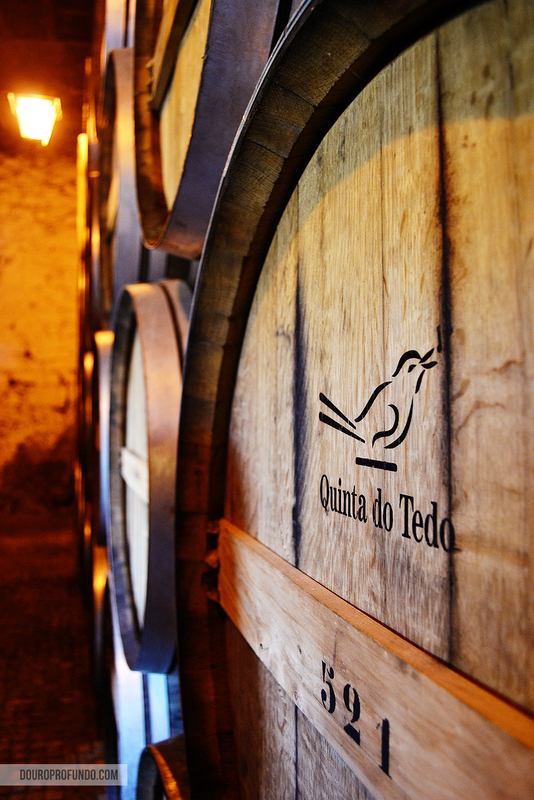 2011 Vinhas Velhas Savedra Port: This Vintage is made exclusively from the estate’s old vines, which are over 40 years old. 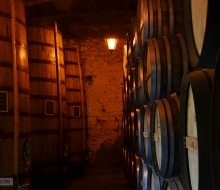 Comparing it to the other Vintage from the same year, this wine shows a lot more aging potential. 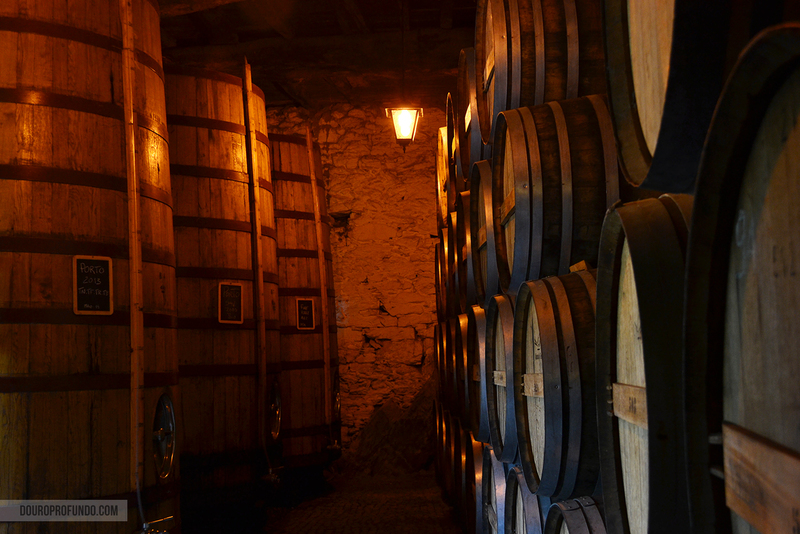 At the moment it is still very wild, with bold, strong tannins waiting to be tamed with aging. On the nose it’s also very young, with red fruit (particularly strawberry) and a surprising hint of mint. With so much potential, we imagine that in 20 or 30 years time, this Savedra will be an amazing edition to the estate’s portfolio, we can’t wait to compare the two as they develop over time, and see which one will come out on top. 2009 Grand Reserve: After trying an excellent selection of Port wine, it was nice to have the contrast of trying a red wine. This is definitely a wine to enjoy slowly. It started off with very strong mineral and vegetable notes on the nose, and the more it breathed the more you could sense the red fruit behind it. Tasting it, it’s a very balanced wine, with a vibrant acidity and very rounded tannins. The red fruit makes a welcome appearance as well, in a wine that still shows great aging potential, especially considering it’s already 5 years old. 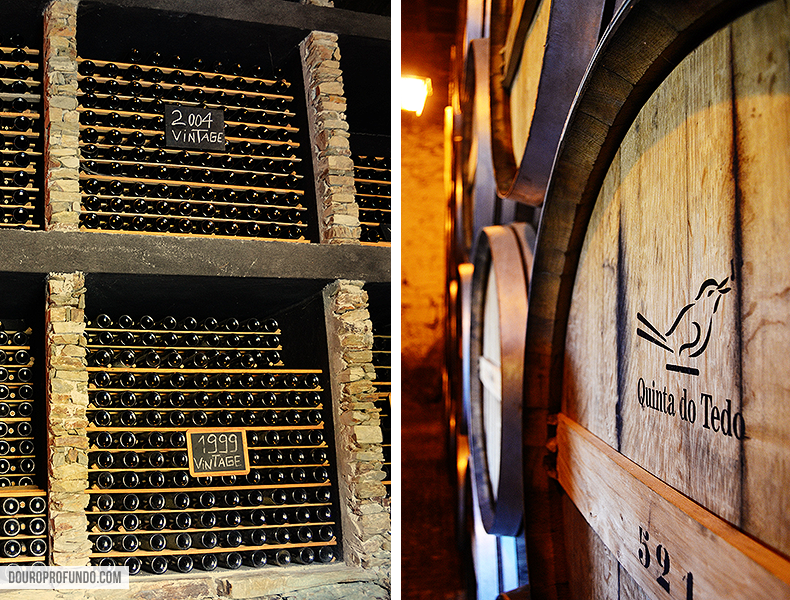 Touring the charming estate may be shorter than some of the other big Quinta’s in the region, but it has all of the character and heart that you want to feel from a small estate. The tour was a breath of fresh air after experiencing some rehearsed and almost robotic tours at other estates. Tiago, our host, was passionate and knowledgeable, which made for an enjoyable tour and tasting experience that we highly recommend. 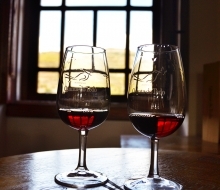 Whether you’re completely new to wine, or interested in delving a bit deeper, it’s nice to visit an estate with staff that are passionate about wine and winemaking, and are always willing to share in your enthusiasm. 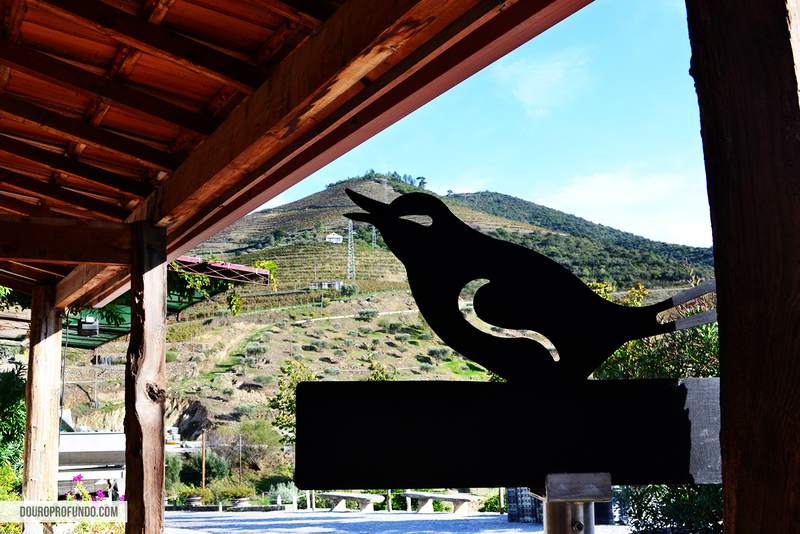 We were very happy to get in touch with Kay directly, who was kind enough to take some time to chat with us during our visit, and tell us about how their story with Quinta do Tedo began. 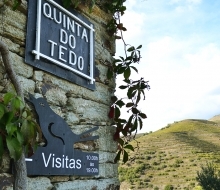 When they first discovered Quint do Tedo, a 250 year old estate, it was in ruins; something you’d never guess by the success it is experiencing today, all of which can be attributed to their hard work and vision. Owners Vincent and Kay are no strangers to the wine world, both have been involved with wine for quite some time, and in the case of Vincent, you could say wine is in his blood. Very few Quintas in the Douro are lucky enough to have owners that are completely involved in the wine making process; Vincent, Kay and their family take pride in every aspect of the estate, which shows in their wine. 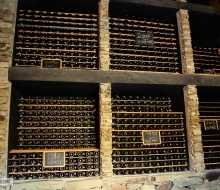 They are not just producing wine, they are building a legacy for their family, which has influenced decisions such as achieving certified organic status for their vineyards, even adding Eno-Agrotourism to their portfolio by offering several rooms. 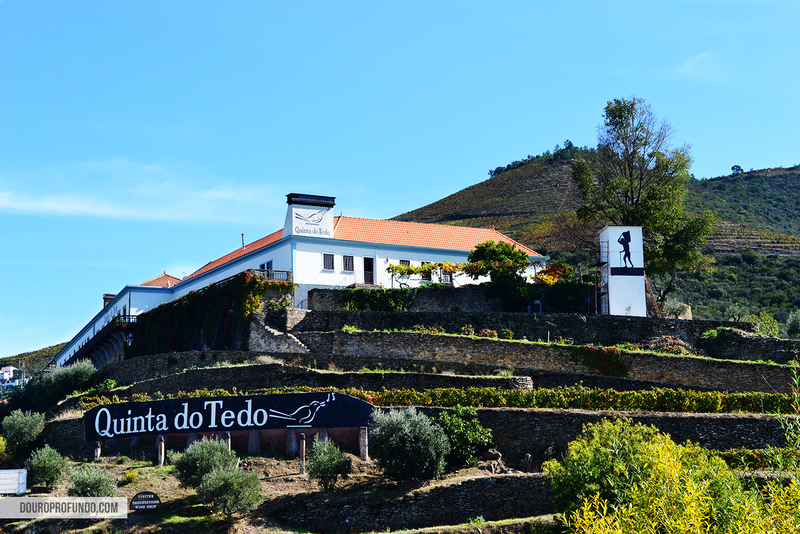 These are just some of the ways the family is evolving the estate, with plans to organize and host more events and cater to groups, Tedo is creating a year-around tourism experience that is not often found in the Douro. 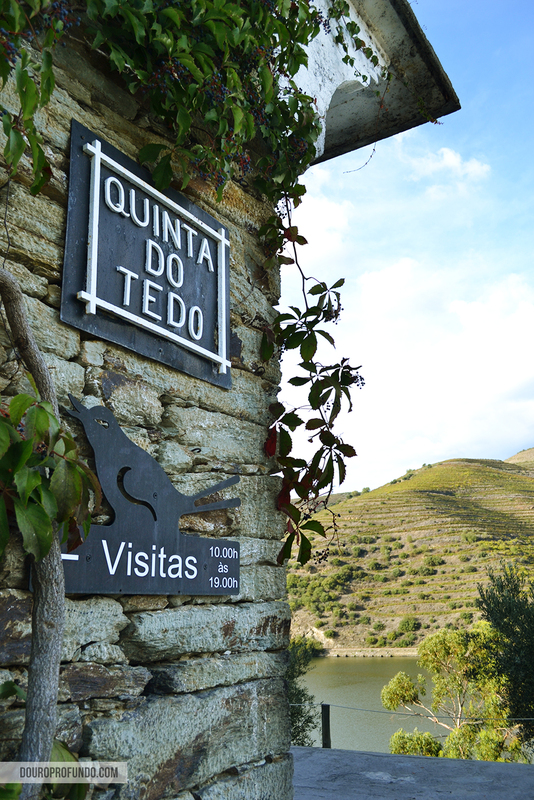 The direction Quinta do Tedo is taking is an exciting one, and we hope to see more estates in the Douro follow suit in the near future. 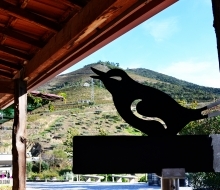 Quinta do Tedo is what we love to see in the Douro: a passionate family behind an estate that is not only preserving all of the culture and history of the region, but also focusing on the future by integrating a modern outlook, to ensure that it will be a brand that will not only last, but thrive. 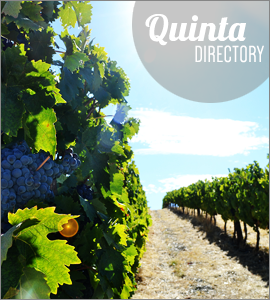 If you’re driving along the beautiful N22 Highway, you have no excuse not to visit this Quinta, enjoy a glass of amazing Port wine, soak in the incredible view, and experience a legacy in the making. We’d like to thank Kay for inviting us to the Quinta, and the family and staff for a warm welcome and a great experience! We look forward to visiting again sometime very soon. 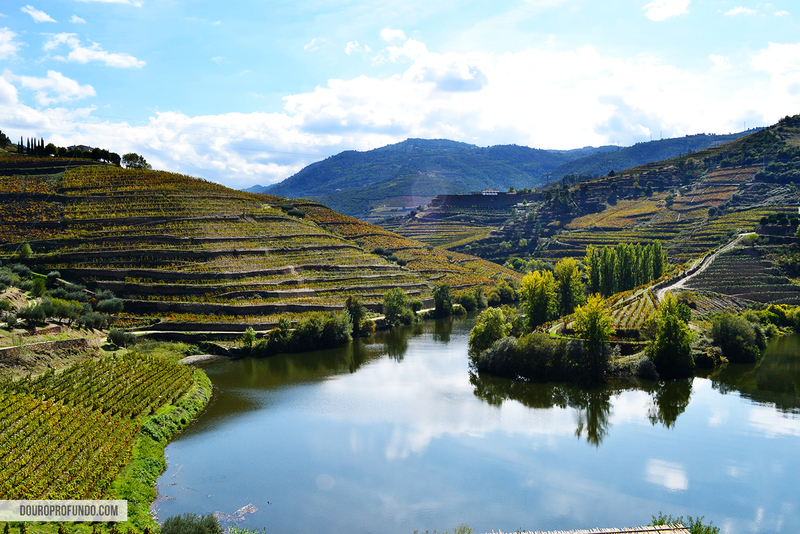 Douro Profundo © 2019. All Rights Reserved.